Few things are more jarring than watching your dog suffer a seizure. Seizures can be caused by a number of different health issues, but whatever the reason, an episode can cause any loving dog owner to feel totally helpless. Although there are few things you can do while a seizure is happening, there are steps you can take to help reduce the occurrences of seizures in your dog. Here are a few different methods other dog owners and veterinarians have found to be successful. Many dog owners choose to trust western medicine when it comes to their pup’s health. But dog owners choosing to go this route should know that although they may see positive results from medication, the cost can be some pretty serious side effects. Some of the most common drugs prescribed for seizures in dogs are known to cause lethargy, loss of coordination, toxicity, and liver damage. Only you can decide what is best for your dog. Weigh the pros and cons before committing to any medication, and consider other methods if you’re concerned about the side effects. The Ketogenic Diet (Keto) is a high-fat, low-carb diet that has become overwhelmingly popular, and not just with people trying to shed pounds, but also for people and dogs with neurological disorders. Diets high in healthy fats, have long thought to be good for brain and nervous function. In a scientfic trial studying dogs with epilepsy, dogs placed on a ketogenic diet found a significant reduction in the number of seizures suffered per month – some stopped having seizures altogether! Putting your dog on a ketogenic diet doesn’t mean you need to start cooking for him. You can find keto dog food online. 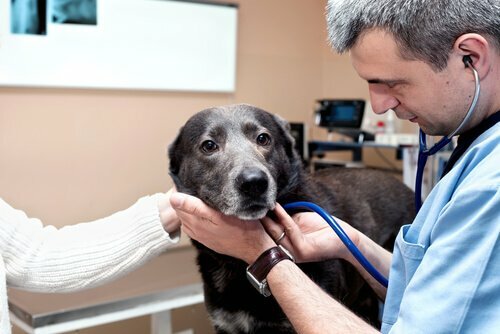 When weighing the pros and cons of medication some veterinarians choose alternative means of treating their patients. Many veterinarians are now practiced in Eastern medicine, acupuncture, and other holistic remedies – and not just because the side effects of medication can be scary, but because these remedies have worked for years. Dr. Karen Becker with Mercola Healthy Pets discusses an interesting study from the University of Pennsylvania Veterinary Hospital researching the effects of acupuncture on dogs with epilepsy. Dogs who suffered seizures underwent permanent acupuncture – a treatment where gold beads were implanted over acupuncture points in the body. The dogs only saw temporary improvement, but Dr. Becker says that dogs she has treated with traditional acupuncture see longer lasting results without the use of implants. Unlike diet, acupuncture doesn’t require any long-term lifestyle changes. You can find a holistic veterinarian in your area at AHVMA.org. People are finding more and more uses for CBD oil for themselves and their pets. A double-blind study was recently conducted to test the effectiveness of CBD oil in reducing seizures in dogs, with some amazing results! Dogs in the study were randomly placed into two groups – one group was given CBD oil to treat their seizures, and the other was given a placebo. All the dogs suffered two or more seizures a month, and by the end of the study, researchers found that the CBD oil was successful in reducing the number of seizures in 90% of the dogs! CBD oil is a relatively new option for treatment, and many are still skeptical about it, but CBD proves over and over that it’s a useful tool providing relief for a number of issues. 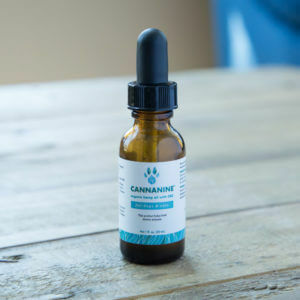 Cannanine™ Organic Hemp Oil is made especially for dogs using human-grade ingredients. It’s legal for use in all 50 states, and doesn’t contain any THC, so your dog won’t feel “high” when you use it. 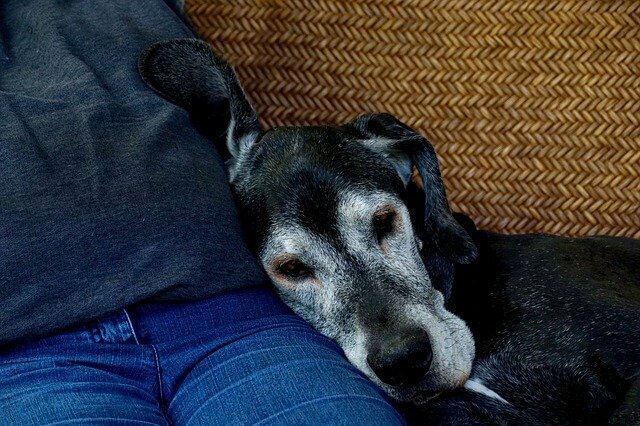 For more information on seizures, check out The 5 Things You Need To Know About Seizures In Dogs at iHeartDogs.com.